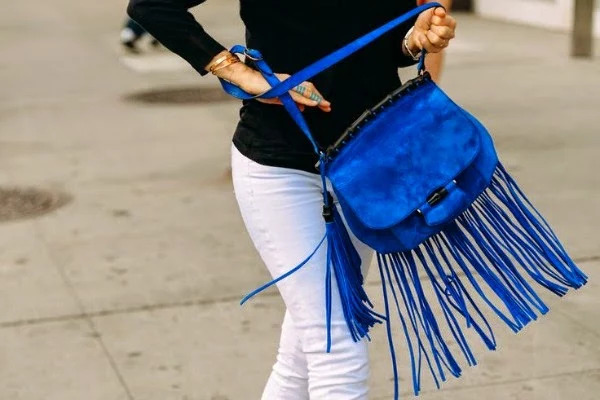 En mi caso adoro llevarlos en cazadoras o bolsos pero ¿qué me decís de la preciosa falda que lleva Olivia Palermo? Siéntate, tómate un respiro y déjate inspirar por esta tendencia. Muchas gracias por vuestros comentarios y visitas. As I said in the previous post with my last look, the fringes come back this season and you will see them, both in accessories and clothing. I have prepared this post with pictures of street style, where the protagonists are the fringes. In my case I adore fringed in jackets and bags but the are a lot of possibilities and combinations. Sit down, take a break and be inspired by this trend. Thank you very much for your comments and views.